Simone Inzaghi, the Lazio coach was elated to defeat Empoli on Sunday. Well, the one and only goal was achieved by Marco Parolo. Inzaghi said that it was a crucial match for them and they knew it would be a task to play against Empoli side as it plays excellent football. Serie B was dominated by Empoli in the last season and they performed brilliantly in the initial few games as far as Serie A is concerned. Inzaghi said they could have put in more efforts in the beginning, but they emerged as winners in 2nd with more enthusiasm and determination. The coach is all set to start the tour de force with Europa League and it’s not easy to play Serie A against smaller clubs too this year. It is necessary that begin strong as the Europa League group is definitely not something that can be taken lightly. Lazio is geared up to begin once again from where they left. Post the international break, Inzaghi along with his squad have been asked to face Empoli, which is a newly promoted team and it puts every effort not to disappoint the audiences of Stadio Carlo Castellani. Aurelio Andreazzoli is prepping up for his starting XI as confirmed by Francesco Caputo, the Italian striker. 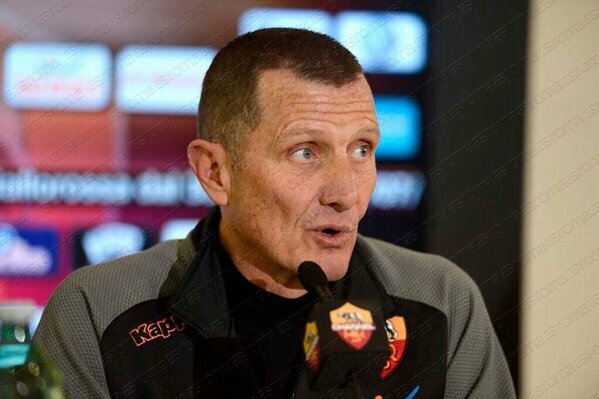 He said that Lazio has been carefully studied by them. In the dressing room prior to training, the coach had left them with the Lazio football games. They were focusing on immobile and realize how effective the players were as they tried making maximum goals. Francesco said they attentively watched the players play. Recently, Aurelio has had some great seasons, but he failed to express himself on the nation team level. However, it is their duty to make him feel confident as he is an excellent striker and have high regards for him as per Francesco. Uncategorized Aurelio Andreazzoli, Lazio, Stadio Carlo Castellani.